If you are having trouble using Tabman, please check out this document to see if you can resolve any problems that you’re having. If not please raise an issue. Ensure you’re using the latest releases of both Tabman and AutoInsetter. Make sure that auto insetting is enabled (it is by default). 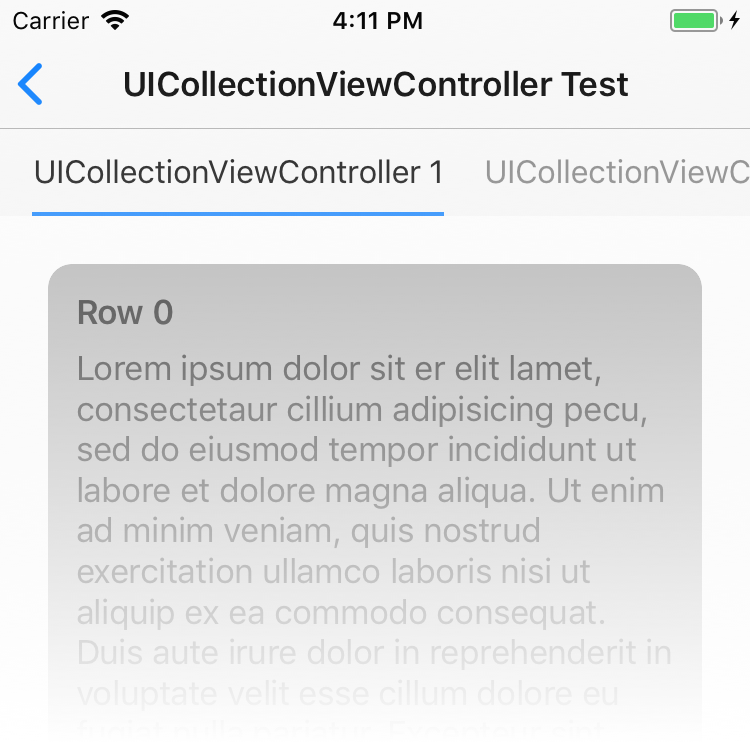 If you are using a custom view controller (and not something like a UITableViewController), the way that your content scroll view is constrained to the superview is very important. 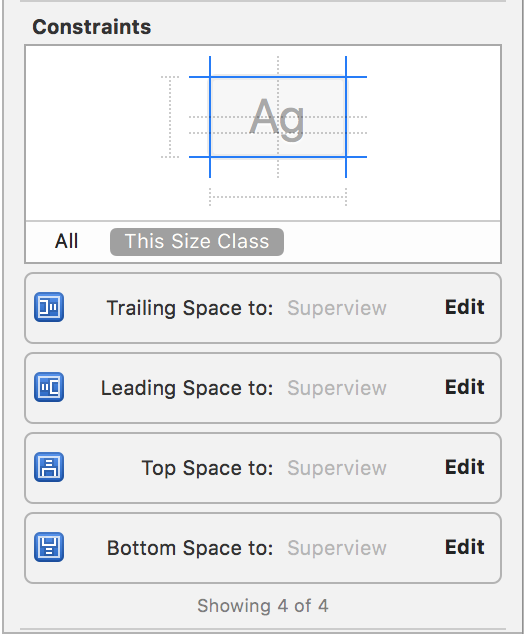 As you can see, the constraints for the UITableView are pinned to the superview rather than the topLayoutGuide or Safe Area. Tabman will also handle any UIKit properties that require modifying in order to get a reliable insetting behaviour. As we’re providing a completely custom implementation, we disable a lot of the UIKit helper properties that would otherwise inset content correctly for system components such as a UITabBar. Modifying these properties will more than likely cause issues with the auto insetting engine, so it is advised to remove any usages from your code. 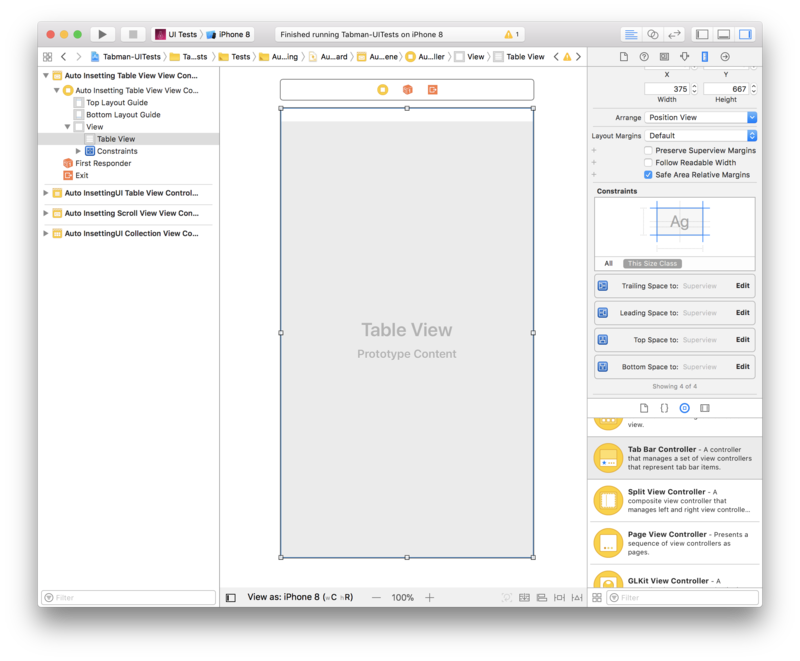 By this point, you should have a beautifully insetted table view in your child view controller, otherwise 😭. It might be useful to use the numbers provided by bar.requiredInsets to manually inset your content. Depending on how successful this is will help with debugging. Raise an issue, and provide as much detail as you can about your layout and just what is going wrong. We’ll get on with fixing it as soon as possible 🤞.